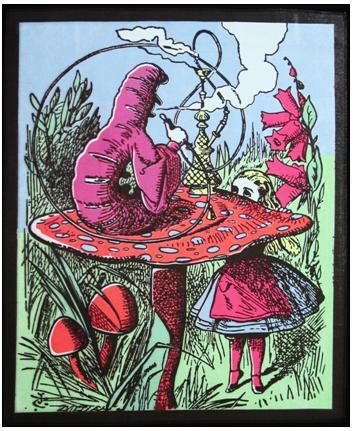 Alice and the Hookah Smoking Caterpillar is the design on this black light fabric tapestry. Hang it on a wall, add a black light and watch this tapestry come to life. Approximate size - 24" x 29"